Epson is coming on stronger than ever this fall in the home theater market. The least expensive of their new 1080p models is the Home Cinema 8100. The next step up is the Home Cinema 8500 UB, with more features and higher contrast, at $2,999. We've seen but have not yet tested the Home Cinema 8500, but in the demos we've seen it looks like a very strong unit. Assuming it is as strong at its price point as the 8100 is at $1,599, these two models together represent an aggressive competitive move unlike anything we've seen previously from Epson. They may turn out to be the most potent price/performers ever unleashed by Epson in the home theater market. High Brightness. When metering Epson's projectors, we typically get lumen measurements at or close to the official specification. The 8100 is no exception. The Dynamic mode at default settings on our test unit pumps out 1749 lumens, and boosting brightness and contrast push it over the stated 1800 lumen spec. Traditionally, "dynamic mode" is industry code for absurdly bad color. On many projectors, even some just released this fall, the Dynamic mode is bright, but horribly green to the point of being unwatchable. Epson has not overdriven green to achieve high brightness in its Dynamic mode. Color is, in point of fact, remarkably good. What you give up in Dynamic mode is black level, contrast, and color saturation. But in ambient light conditions you lose that anyway. On the 8100 in Dynamic mode, the picture remains quite acceptable from a color balance perspective, and you don't feel as though you're wearing green eyeshades. Still, people who buy the 8100 are buying it for maximum picture quality for the money, and Dynamic mode is not the ideal way to view the projector. There are several precalibrated modes appropriate for dark room home theater. Natural mode measured 598 lumens, Theater was 525, Theater Black 1 was 442, and Theater Black 2 (a warmer 5500K setting for b/w film viewing) was 402 lumens. There is also a brighter Living Room mode that generates 825 lumens at factory defaults. The default color temperature in this mode is 7500K according to the menu. When in Living Room mode, if you move color temperature to 6500K, you end up with both better color balance and a brighter image. Lumen output was increased to 932 lumens with that change alone. So this is a very bright operating mode for good color, and a good compromise between the theater modes and Dynamic. There is again some sacrifice of black level and contrast, but in low ambient light, Living Room is a viable alternative. ECO mode. No matter whether you calibrate the unit yourself or use one of the factory options, you can cut light output by dropping the lamp from Normal to ECO. This reduces light output by 23%, reduces fan noise, and increases estimated maximum lamp life to 4000 hours. Zoom lens effect. The 8100 has a very long 2.1x zoom lens range. The good news is that it can be installed just about anywhere to hit whatever screen size you want. The bad news is that if you use the extreme long throw end of the zoom, you cut light output by up to 41%. This is normal for a zoom lens of this range, but it means you need to plan your installation carefully. If you intend to use Theater Black 1 for maximum black level and contrast, you are starting with 442 lumens at wide angle. If you don't think about the zoom effect and install the 8100 at its longest throw, you'll end up with only 260 lumens, and that's with the lamp on full power. That's fine if you want to limit screen size to about 90" diagonal. But most users will want to avoid the long throw end of the zoom if at all possible, in order to retain a wider range of lumen output and screen size options, and make the ECO-mode more practical. Focus stability. Last year's home theater models from Epson showed some focus instability over time. The Home Cinema 6100 in particular tended to defocus as it warmed up over a 30 to 45 minute interval. Epson made some mid-run adjustments and minimized the problem on later production units. But readers will be happy to hear that no such problem exists on the 8100. Razor sharp focus is obtained after a five-minute warm up, and it stays razor sharp for the duration of the viewing cycle. Now with the 8100, we have run the test sample for a couple hours on a static image to see if image persistence occurs. It does not. Rather, it behaves like all other 1080p models with inorganic panels that we've seen. Thus our impression is that Epson may have gone with LCD panels containing inorganic materials on the 8100. It is Epson's policy not to comment on the type of panels they use, so the company has not confirmed or denied this. Thus, we don't know for sure at the moment, and if we ever do we will update this section. The benefits of inorganic panels include higher contrast, much longer anticipated panel life, and the virtual elimination of any possibility of image persistence. Lamp life. Epson indicates that the anticipated lamp life on the 8100 is 4000 hours regardless of whether it is run in Normal or ECO mode. The replacement lamp retails for $299.99. So if you drop 15 cents into a jar every time you watch a two-hour movie, you'll have the cash on hand for the new lamp with the time comes to replace it. Fan noise. In general, the less expensive 1080p projectors generate a bit more fan noise than the more pricey models, but none of them are very loud anymore. On the 8100, fan noise is a low whisper in Normal mode, and lower still in ECO mode. But you need to be sitting within about three feet of the projector to notice an audible difference when you switch modes. Even in high altitude operation, fan noise is a low whisper, just slightly more audible that Normal mode. In normal operation, if you place the projector about six feet or more from the audience, it is unlikely anyone would ever hear it. Few users will ever choose to run in ECO mode solely to reduce fan noise. Rather, getting the ideal amount of light on the screen will be the reason to use it. Extensive vertical and horizontal lens shift: One of the competitive advantages of 3LCD light engines over DLP is the latitude to incorporate extensive lens shift. On the 8100, as on all Epson 1080p home theater projectors lately, the vertical shift is three full picture heights, and the horizontal shift is two picture widths. This makes it easier to install the projector in a variety of locations relative to the screen without using keystone adjustments. As with the long zoom lens, the convenience of extensive lens shift has a small penalty. The ideal way to illuminate a screen and get the most out of the projector is to have the projector dead center and the lens shift in neutral position. The more one has to move the projector off-center, the more it decreases brightness uniformity. If the projector is ceiling mounted and shooting down at the maximum angle the lens shift will allow, some of the light may reflect to the floor in front of the audience, and the picture will not be quite as bright. The ideal placement of the projector, if you have the space to accommodate it, will require no horizontal shift and a modest amount of vertical shift. In short, if you need the extensive lens shift range to get a picture onto the screen, by all means use it. If you don't need it, don't use it. At a price of $1,599, it is silly to make a big deal about what the 8100 doesn't have. There are those who demand Porsche performance at Kia prices and are offended when they don't get it. But for those of us in the real world, the question is whether the set of features and functions being offered for the price are a great deal or not. And in the case of the Epson 8100, this is truly a great deal for the money in today's market. 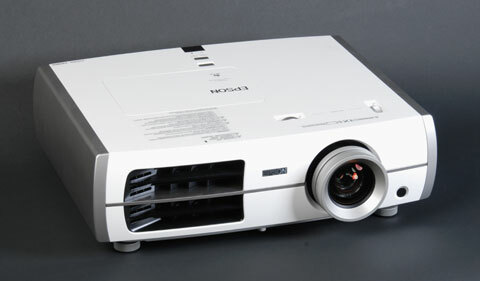 Most of the competing home theater projectors in the 8100's price range are based on DLP technology. DLP projectors do not have air filters. Though it is often recommended that you vacuum the air vents periodically, they require less of this type of maintenance than an LCD projector. The 8100 requires a periodic cleaning of the air filter (every two months or so in a normal home environment) to get the maximum life from the lamp. The 8100 lacks several features found on pricier models. The more expensive projectors today have incrementally higher contrast and deeper black levels. The 8100 does not have frame interpolation, but no projector in this price range has that capability as of yet. It does not have an on-board anamorphic stretch mode. It does not have a powered zoom/focus lens. But other than those features, the 8100 has most of the basic features that one would look for in an entry level model: good color and gamma calibration controls, excellent brightness range, and lens flexibility that is as good as it gets. Everything we've tested on it works as advertised. At this writing there are two other 1080p models in the 8100's price range. The Samsung A600, at $1,799, is $200 more at retail, and the soon to be released Mitsubishi HC3800 is $1,499, or $100 less at retail. Street prices will vary from retail on each of these, so some shopping is in order to find the actual price differences. Also, the Optoma HD20 at $999 is a competitive alternative, representing lower performance at a reduced price. The Vivitek H1082FD ($1,299) and H1080FD ($999) are available on the low end of price range. We have not yet reviewed the Vivitek models, but will shortly. We have not yet seen a production sample of the Mitsubishi HC3800 either, so we are not prepared to make any comments about picture quality comparisons between these two models at this time. Most of the Epson 8100's competition is based on DLP technology, whereas the 8100 is 3LCD. Accordingly, the 8100 trumps all of the competition in zoom range and lens shift, so it will be easier to install in a variety of problematic rooms that would be more of a challenge for the DLP models. The 8100 also has no DLP rainbow artifacts since it does not have a color wheel or other serial color updating. In addition, the 8100 surpasses all of the competition in lumen output range. None of the DLP models are able to match the 8100's high brightness modes. In cinema modes, however, these differences don't exist. The HD20's Cinema, the A600's Movie 1, and the 8100's Natural modes are about equal in brightness. But in this comparison the 8100 still has a solid advantage in contrast and black level. The higher contrast makes it appear a bit brighter in side by side viewing. Beyond that, the 8100 has several theater modes that are less bright than its Natural mode, but give incremental improvements in contrast and blacks. As far as picture quality is concerned, the 8100 handily outperforms the Samsung A600 and the Optoma HD20 in contrast, black level, and color saturation. The 8100 is equal to its competition in actual sharpness and detail, but in side by side tests it gives the impression of being a bit sharper due to its higher contrast. All three projectors have sufficient color calibration controls to balance out the picture, so none has a significant advantage over the others in color accuracy. As far as digital noise is concerned, the 8100 and the HD20 are both low in noise and are equals in this regard; the A600 manifests a higher noise level than either of them. The 8100 has a more three-dimensional image than either the A600 or the HD20, and there is an impression of superior image clarity that again is derived from its contrast advantage. With respect to fan noise, the A600 and the 8100 are about even, with a very slight edge in favor of the 8100. The HD20 is the loudest of the three, but it still is not loud enough to be concerned about, especially considering its overall value for the money. If portability is a concern, the HD20 wins hands down. It is the smallest and lightest of the three; the A600 is a bit larger and still portable. However, though its case design looks great, it is not as easy to handle. We would not want to be moving it around much. The 8100 is the largest and bulkiest of the three. It is not designed with portability in mind. Overall, the Epson Home Cinema 8100 is an outstanding projector and a superb value for its modest selling price. It is important to emphasize that the HD20 sells for only $999, and it does a very fine job for a projector at this price point. For those who want to budget no more than $1000 for a 1080p projector, it is a solid choice and will deliver an engaging picture. However, if you can expand your budget to reach the Epson 8100, you will be rewarded with superior image quality and more lens and brightness flexibility. It is well worth the incremental price. Having seen enough of the competition in this price range, we can assign our 5-star ratings on this model. We've given the 8100 4.5 stars for performance, only because there are more expensive models that deliver even greater image contrast and black levels. But at this price range the 8100 appears to have no competition that exceeds its image quality performance. It is awarded 4.0 stars for features, again only because there are more expensive models that have a greater array of features (powered zoom/focus, frame interpolation, anamorphic stretch, etc.) Ease of Use and Value are easily 5.0 stars each. In short, the Epson 8100 is a impressive projector with no flaws that we can detect. It is a significant step beyond last year's 6100 in performance, and lower priced as well. At $1,599 it is an outstanding value, and we are pleased to give it our strongest recommendation. Three, not two? So it can project an image well above or below the centerline of the lens? Nice review. Could you please expand on how the 8100 improves apon the 6100 in performance? Can you please give us some numbers for the actual ANSI contrast and full on/off contrast? If you haven't measured them yet, would you be so kind to do so while you still have the projector? I just wanted to doublecheck if possible....the TW-8100 would equal the TW-3500 in Europe, right? Great review, this will probably be my first projector. "Although you can shift the image UP by 96% of image height, you can shift it DOWN by only 85% of image height"
Thus, the total range is 281% of image height--not "three full picture heights" as is stated in the review. For those of us who place our projector on a shelf suspended from the ceiling (to avoid the headache of dealing with a ceiling mount whenever we change projectors), this can make a difference. I think the main competition against the 8100 is the Sanyo PLV700. Is the 8100 better? I wonder what Sanyo and Panasonic have up their sleeves for the Xmas buying season. Sanyo seems to drop the hammer and releae something amazing for $100's less. I'm wondering is a PLVZ800 is in the mix. Can you comment on the Epson 8100 performance and features versus the ViewSonic 8100? Excellent review; you've discussed how it stacks up against the 6100, but how does it compare to the 2007 Epson PowerLite Home Cinema 1080? At ~$2,300, is there anything the 6100 has that the 8100 doesn't? The review seems to indicate that I have to re-focus the projector every time i use it: "Razor sharp focus is obtained after a five-minute warm up, and it stays razor sharp for the duration of the viewing cycle"
I hope this is not the case. I have not had to re-focus my current projector Panasonic AE2000 in six months. I thik after reading your review I am sold on the 8100,but beeing new will it have rebates or incentives of any kind?? What about refresh rate. with Htpc's getting better all the time and Nvidia fulling supporting stereoscopic 3D it makes sense to start talking about it. Maybe! My first projector I bought was in 2005 was the In Focus Screenplay 4805. The bulb finally burned out, it was time to upgrade. I first bought the Sanyo PLV-1080HD (Same specifications as PLV-Z700) at a local chain electronics store. Of course it was way better than my first projector. After reading the reviews of the Epson Home Theater 8100, I had to view it before my the 30 day return time was over. There was no comparison: Epson has Sanyo beat in black levels. It looks like a Huge LCD TV, even in a my lit room plus the color truly POP! I enjoyed the sharpness of the Sanyo and was afraid it would not be as sharp but it is. The color took a while to adjust, but I followed the calibration from a projector review and it was perfect after I followed the suggestions. I probably would have been happy with the Sanyo if I hadn't seen the Epson 8100, but the Epson has brighter whites and WAY darker blacks. I'm on a tight budget, so I need to be happy for a long time. I will be. Plus I got a heck of a deal on it as well! Don't forget it's a buyer's market! Today (11/22/09) Best Buy is offering the 8100 for $1199 which is half of the factory delayed 8500UB. Even Better not only does Epson have a $100 mir but my Best Buy has a 30 day return policy which is being extended for the holidays until the beginning of January. Oh, no restock fee either. That price is up to $1399 now, still a good deal. Does it support 2.35:1 aspect ratio, I am planning to set this with projector screen of 2.35:1 ratio ? Anyone has an idea about that ? I think that many member ask themself about the difference between the epson 8100 and the new epson 6100, as Dallen does. Specifications are exactly the same, except non mesurable values : contrast : 18000 vs 36000, and lumens 1600 vs 1800. Has anyone an opinion about that ? I bought the 8100 a few weeks ago after having the panasonic ptl500u for 5 years and then I paid 2100 dollars for it .It has been a good projector but I wanted to go from 720p to 1080p after getting a ps3, the epson 8100 is a fantastic projector it has a very bright picture and dark blacks I don't have anything bad to say about it I also got it for the great price of 979.00 after the 100.00 rebate at that price it can't be beat! after calibration of the 8100 and 6100. the epsons are complete the same!!!! they foont epson. epson said that its true!!! I have recently purchased the Epson 8100 as an upgrade to my InFocus DLP projector. I have been very disappointed with it. The refresh speed is only 60hz. The images are very sharp when still but become blurry with the slightest movement. Watching football games and other sports is painfull. When the camera pans across an image field it is blurry. I have made all of the adjustments recommended by Epson technical support to no avail. My lower resolution Infocus projector blows this thing out of the water! I would NOT recommend this projector to anyone unless you like being disappointed. Now, 40 days after purchase, the store will not take it back and Epson said they couldn't do anything for me. Epson does not list the refresh speed on the box or in the user's manual. The only way I found out the speed was from an Epson technical support person. Don't make the same mistake I did. Where are people finding their projectors for less than the rrp? Any stores online? Just unpacked and mounted the TW3500 and borrowed a PS3 from work. I cant get the projector to display 1080p. Anybody else having troubble with this? I purchased the Epson 8100 for Christmas. Used it two hours then the bulb exploded. Epson offered a replacment unit but I had to wait two weeks. Ok, send me a new unit. My local dealer worked with the local Epson rep to get me a new bulb. Installed the new bulb and it was fine. Got the new projector from Epson, mounted it and stored the old, "known good" bulb. Guess what...the new projector blew the bulb in an hour. Put the replacement lamp in and its fine so far. Epson has some manufacturing problem with the bulbs. They're using Chineese bulbs in the 8100 so be aware that you'll need to have a replacement bulb on hand. Oh did I mention they only warranty the bulb for 90 days! The picture quality is great but I'm leery about the bulb issue. I've never seen this before in a projector and I'm hoping it's not a design issue with the cooling. Yes, it is only a 60hz refresh rate. And if you look for it, you will notice and it may bug the hell out of you. Just remember, that 60hz is still better than a movie theater (which may equate to 24hz or 48hz in comparison-24fps or 48 fps). Watch a movie at any commercial theater and you will notice "judder" during any camera panning in a scene. And that will drive you crazy. You will notice it because you are looking for it. I never had noticed it before I read projector reviews! I've had the 8100 for 2 months. Watching sports on it is fine and I do not notice any judder. I do not notice any judder watching football or basketball. If I watched nothing but TV, it would be perfect. I notice judder when I'm watching a film, especially a film outputted to 1080p/24fps. Watch 8 1/2 and you'll notice, but again the "judder" is much worse at a movie theater. Is is worth an extra $800 to make a film look smoother? That's up to you. You will get the benefit of less judder, but pay the price of making film look too "video." Read the user forums of the 8500 the panny and you'll know what I mean. If I just watch a movie without thinking about a damn refresh rate, it's fine. I think that's a trap some of us fall in. We look for things that are "wrong" or "off" rather than just enjoying what we are watching. There is a such a thing as being too critical or too aware. Maybe it's a lesson in life as well? Is there any video delay with this projector? I've noticed that several other slightly higher end digital projectors such as the Epson 8500UB and Panasonic PT-AE4000U have significant video delay if you use the frame interpolation systems to improve video quality. I've never used any type of receiver to resolve audio/video sync issues (what exactly does resolve that issue)? Many thanks. Is there any video delay? To my eye, there is no video delay. This model does not have 120 Hz motion scan or other advanced video processing features. I have a Sony LCD 40" HD flat screen, and with THAT TV, I notice BIG video delay from my cable box and it bothers me big time. I notice no delay with this projector. 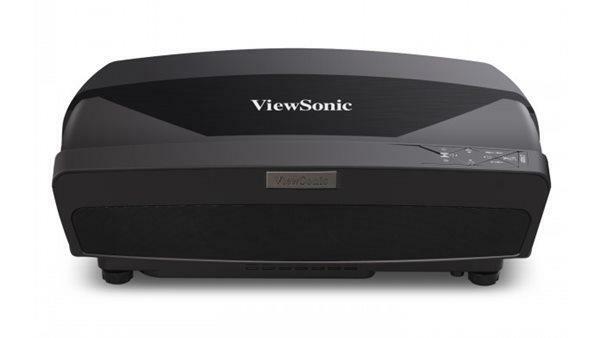 Some of the new AV receivers have built in lip synching to match the video with the audio timing on their HDMI inputs. That may or may not help. I just wanted to thank you for an excellent and comprehensive review. Really - this is one of the most informative reviews for any product that I have ever read. Good work. Also, I just ordered the 8100. Can't wait. I've recently purchased an Epson 8100 to replace my Optoma HD70 based on the many positive reviews on it. After setting the 8100 to theater 1 (color temp @ 6500) and normal auto iris, I started watching a blu ray movie (terminator salvation) in an almost totally dark room. To my surprise, the first thing I noticed was a grey haze on the image which made the image look flat and the black level looked greyish. I then try all the other precalibrated modes as well as setting the auto iris to off and fast mode and it didn't make much difference in the black level performance. In fact switching the auto iris mode from off to fast made no difference in the black level quality. I even decrease the brightness to -5 and -12 and it did darken the image but the grey haze was still very noticable. Comparing to my HD70, the black level performance was noticably better on the HD70 and compared to my 50" samsung plasma TV, the plasma's image quality is far superior then both projectors. I'm using a onkyo receiver as my hdmi video switcher and outputing the video to the projector via a 50 ft hdmi cable. At first I thought that the 50 ft cable may have been too long and therefore causing the degraded image so I hooked up my blu ray player directly to the projector via a 6 ft hdmi cable. No improvement. Does anyone have any suggestions for my issue or do you think I have a defective projector? I have a Xbox360 and thinking about buying the 8100. I also have a blu ray player. Does 60 hz hurt without having 24fps. I'm looking to get this in the next few days. I've had my Epson 8100 since last Nov, right after they became available. I have loved it until yesterday when my lamp exploded after 500 hrs of use. I see Frank above had a similar issue and I'm curious if anyone else has experienced this or knows of an issue with this model. I use a surge protector and regularly clean the filter. Checked all those things after the explosion and all looked good. It's the weekend, so haven't called Epson to see if they'll do anything now that the lamp is out of warranty; but, it does raise a question about the quality of the bulbs they're using or the cooling. pls. tell me which is the best entertainment DLP projector for home and office use within range of Rs 35000 . to 55000? Have had the 8100 for 87 days and the bulb just blew after about 650 hrs. Calling Epson tomorrow. Was working beautifully until then. I purchased an 8100 about a month ago and my bulb went out after a few hundred hours. I just got my new one today after waiting 2 weeks. I am concerned because others are having similar problems. I love the projector but if I have to replace the bulb once a month I will go broke. Has anyone else had similar issues? If you don't mind me asking, where did you find it at the $989.00 price? Please! 87 days. Whew. I just bought one from Visual Apex at $1329 (that price is good until Monday). Their website indicates the warranty is 2 years parts & labor, plus 90 days on the bulb. Did that apply to you? I watched a fast hockey game on my new Epson 8100 and there were no motion problems or bluryness whatsoever during high motion scenes. It was perfect in fact. Totally satisfied with this projector in every regard. I guess I forgot to touch wood beacuse the lamp just burned out, after 34 hours. After seeing in these reviews the same problems that others have had I knew it might happen, just glad it happened while under warranty. I think they do use cheap 50 hour Chinese lamps in OE the replacements should be of higher quality lasting the full term - up to 4000 hours as stated. If anyone has similar problems please post. bought the 8100 in Dec 2009 and bulb blew up in two months (650hrs), tec support sent out a replacement, and it went out tonight after 400 hrs. Not Good! Usually watch in Dynamic mode due to ambiant light conditions. I got the 8100 from Best Buy for $1050 and I am very happy with it so far. Blu-ray looks great! I just hope the bulb holds up over time and runs close to the 4000 hours, or at least 2000 hours. Anyone who gets 400+ hours on the Epson 8100 lamp is lucky! I got 34 hours on the original and 18 on the replacement. However, that was determined to be a problem with the projector itself and not the lamps. Epson sent me a replacement projector (with hopefully a NEW lamp in it) and after two days it is working fine, hopefully my lamp burnout problem is solved. Will keep posted on its future performance, if it happens again tho I will want a refund. Can someone tell me how to square my picture. It is more narrow at the top. The writing for instance at the bottom slants down and to the right. I am unable to access the setting to adjust the picture due to it does not work for HD settings according to the book. Had unit since February. Watched UFC fight tonight, then turned off the projector for about an hour. Then started playing Rock Band. 30 minutes in the bulb blew. Not sure the total number of hours. Going to call Best Buy and see if they can help. The bulb should not blow after roughly 6 months of use. Worst part is the local Best Buy doesn't stock the projector so I know they won't have the bulb. Let's see how long this takes. Ugh! Rats, I just got the exploding bulb problem! Mine had 605 hours, then after I turned it on the brightness dimmed significantly. Watched the dim picture for about an hour, then scary LOUD POP. End of bulb. Unfortunately, I bought it the beginning of Feb., so officially the bulb warranty is up. I expect better than 5 months of service and 600 hours from a bulb they claim should last 4000 hours. My last PJ, a Panasonic PTAX200u, has already gone more than 3000 hours on a 2500 hour bulb. Good news is that Epson support has stood behind their product and is shipping a replacement bulb within 2 business days. Hopefully the new bulb will last a lot longer. Update1(7/12/2010): Well, they sent me the WRONG Lamp. Contacted support, told them the problem. After VERY long period on hold, they connected me with "Lisa" from "Customer Relations" who proceeded to tell me that they are going to send me a prepaid Fedex label to send back the incorrect lamp, but unfortunately due to "Epson policy", they cannot send me the right lamp until they get the wrong one back. I told her I was very unhappy with that, given that I have been out of service for 5 days now, and it would probably be another 5 days to a week before I'd have the replacement. She said that the policy was due to the cost of the lamps and that she has no control over it. I said I was very unhappy that they would treat a customer with such a lack of trust, but she said there is nothing that she can do. I told her I would be reporting this to every forum I could find. So, pretty sour on the Epson experience, now. My recommendation is to find a different projector, Epson doesn't deserve the business. I may be stuck with this one for a while, but this will be the last Epson product I buy. Beware of bulb! My first bulb went out at just under 900hrs, called epson and they quickly sent me a new bulb (which was nice) now not even 300hrs in the new bulb is starting to dim and the lamp is getting really hot in the case (it is warm usually but when it goes out it starts to get severely hot) Going to call epson tomorrow see what they will do, this new lamp has not even lasted 2 months and a few hundred hours. If this happens a 3rd time i dont know what I will do! You guys have me worried about my bulb gong out now. Last thing I want is my lamp burning out while watching a football game. That was one of the selling points of this projector was 1080p and 4k lamp hours. I got over 3k hours on my in76 before selling it for this projector which I like better overall. I wonder if this is happening up north in different climates? I've had the 8100 for some time now. The bulb hasn't lasted me more than 1000 hours yet. I'm on my third bulb now. What can I do this is getting ridiculous. Update2: Well, Epson "customer relations" sent me the return label via regular US Mail, took 5 days, and the return was for Fedex GROUND. That took another 4 days. Then they finally sent the correct bulb, Fedex Next Day. Total downtime over 2 weeks. Guess I shouldn't have argued with "Lisa", probably cost me an extra week for unexpedited turnaround. I'm stuck with this, but suggest you buy another projector to avoid exploding bulbs and passive aggressive customer service. Well, I just had my second bulb blow on me in less than a year (noted the first in an earlier post). The first had only ~500 hours and I am unsure about this one, but I guesstimate it to have ~700 hours or less. However, Epson is standing behind their product and has replaced both bulbs at no cost to me, despite they were out of warranty. Am I just unlucky? Who knows. I am concerned that I may have a bad unit as I keep it in a well cool, ventilated place and clean the filter regularly. Just curious if anyone else has had two bulbs go and I also wanted to note that I've been happy with Epson's response to my issue. I'll be watching the next one closely before the 2 year warranty is up for certain! Despite my issues, I am still mightily impressed by the image this projector produces. Since you mentioned owning the AX200U before getting the Epson 8100 how would you compare the picture quality of each,,, Epson 8100 vs Panny AX200U ??? Ok, add me to the list. 650 hrs and pop goes the lamp. There are a lot of lamp problems on here it seems. I guess I will contact the dealer on monday and see what they say. Has anyone asked for an upgraded projector? Ditto - blown bulb. I was luckier than some folks who have posted here - my original bulb lasted approx 1000 hours. Still, this is way short of the advertized bulb life. I was very happy with the projector quality until this happened but am now concerned about the ongoing cost of replacement bulbs. Seems like people have had mixed success dealing with EPSON customer service - wish me luck! For those of you who are having trouble with lamps, here are some tips. 1. Ensure that there is proper air flow around the projector. If you put the projector in a bookcase or cabinet or any space where the hot exhaust air from the projector can be pulled back into the projector, you will have lamp problems. 2. If you are at a high altitude as I am (5,200 ft), the air is thinner and the fan speed may need to be increased to provide proper cooling. This projector has a High Altitude Mode that when enabled will increase air flow to the lamp. 3. If you need to change a lamp use gloves as the oil on your hands will create a hot spot which can cause early lamp failure. 4. Clean and/or replace your air filters as recommended by the manufacturer. If the filters get dirty, air flow is reduced and the projector may overheat causing the lamp to fail. 5. When you turn off the projector do not unplug it until the cooling fan stops. Pulling the plug when a projector is running may cause the lamp to fail. 6. Turning a lamp on and off over short time periods (5 minutes) will contribute to early lamp failure. 7. Shock to the projector while in operation can also cause a lamp to fail. These guidelines apply to all lamp driven projectors. They know they have a problem so call them before you pay for a replacement - even after 90 days. ALSO, as some other folks have reported, the PIN number they give you for toll free support WILL NOT work. Here is a "generic" one they gave me, that will work: 5048132 (The phone number is 1-800-637-7661) Good Luck and Happy Thanksgiving! My second lamp just blew up. The first after 550h and the second at 850h. Seems like this projector has really big issues. My bulb lasted 1271 hours before it went out completely. I am dissappointed that EPSON designed a product with a claim (4000 hours; why I bought it)they were unwillingly to backup with a warranty covering at least a year. I would like to see the test plan they used to assess the bulb life and the process used to choose the units under test. Design flaw with the 8100 is more than likely the cool down period after use. The system does not leave the fan on long enough after use and is still blowing hot air when the fan goes out. This shortens bulb life. Recommend the blank button be used prior to turning off the unit and allow the projector to run an additional time to allowing for cooling the bulb. I have not evidence that this will improve lamp life but every small idea helps. In addition if you can live with the additional noise level set your system for high altitude this will increase fan speed and keep the bulb cooler. To EPSON fix this problem. You have a good unit here that people would buy if you can only get the lamp to last as long as you said it would. At 963 hrs to be exact, pop went the bulb! its close to midnight so I have to call in the morning. Bummer. My first bulb just blew on a 6 month old projector with less than 500hours. I have an extended/upgraded warranty from another company but they said this is a common issue with a number of the 8000 series projectors from Epson and sent me directly to Epson cutomer sevice.. Epson fedx'd me a replacement and said they would cover the bulb for 2 years.. I'm happy with how Epson handled this. They stood behind their product. If the bulb fails again under 2000 hours, i'm going to ask for a replacemnt projector without this issue. As simple as this sounds, are all of you actually turning OFF your projectors? I had a problem with mine. All of a sudden the picture went really dark and I called up customer service. She told me that the PROPER turn off sequence is, that top button, THEN actually turning off the big switch in the back. This whole time I had been leaving that back power button on so I could turn the whole thing on/off with the remote. She told me that was the equivalent of leaving the bulb on. I can't believe the sucker lasted for a full year (well almost, it lasted August 09-July 10) being on 24/7! Anyway, I gave them my credit card number and they shipped a replacement overnight. Turned out that card that comes with it gives a VIP service line or something and that all their projectors come with a 2 year warranty (maybe this has changed???). I can barely believe that they forgave my well-intentioned stupidity and sent me a new one. MAKE SURE TO TURN IT ALL THE WAY OFF! P.S. Also, their customer service is HERE in AMERICA. No crazy, hard-to-understand accent. I will make sure, as long as they are competitive, to buy another Epson. They support Americans AND make a great product. Also for all the people complaining about color being off or unadjustable, are you crazy? You can adjust the R of RGB! Like how dense/saturated your R is! That is crazy! I will never care that much to do so. I just got my settings off another website that had reviewed it. I just did this and wow! I can't believe what I have been missing! tl;dr Turn off the switch in the back or else you are wasting bulb hours and get some settings off other websites to make your picture look good. I purchased the 8100 also 2 months ago and my lamp exploded. I will be going to Best Buy tomorrow to return it. Wish me luck!!!!!!! I'm on my 3rd bulb, second projector. Epson replaced the first unit after 2 bulbs blew, one a 400 hours, the next at 900, the third at 1200. (there getting better?) I am going to replace the bulb again and unload it on ebay. Anybody know of a better, more reliable projector in the 1200 price point? First of all, let me say I am stunned by how many other people have had a "bad bulb experience." I empathize with all of you. I just made it to 700 hours on my bulb, with normal (not eco) and dynamic settings. The picture has degraded significantly, in regards to illumination, over the past two days. I called Epson customer service using the "Private Line Technical Support" card and they were extremely helpful. However, as some people have mentioned, the associated PIN for this card did not work. If you are having trouble, try 5048132 as the PIN and that should do the trick. As others have also stated, I was told that Epson would be overnighting me a new bulb. I hope it arrives before the UFC this weekend that I have already pay-per-viewed. Incidentally, I purchased the projector this past August, so it is roughly six months old. Good luck, everyone! Note to previous post: After reading nearly all these reviews, Chris F.'s proved to be very beneficial. Thank you, Chris! Hmmm, I am reading your comments guys and I am very sorry for you all but a few things come in mind . I have put out so far 1291hours on the lamp and there does not seem to be anything wrong at all. Also I noticed that none of you or very few talk about the setup it is under. - Do you guys clean the filter once a month like it is highly recommended ? - How big of a gap did you guys leave in the back of the projector? Mine is at around 1 feet and a 1/2 from the wall so I have an ease of access to the back to either clean the filter or if I would need to plug anything else in the back ( I doubt it since it is already HDMI hooked ). - How is the power plugged ? is the wire sitting in a good powerbar ? I was recommended to only plug this single device in the powerbar and nothing else, so this powerbar is stricly reserved for the projector and there are no extentions either plugged in between the projector and powerbar. - I read that some of you wrote that they powered it down but even so it would still be running, was it in sleep mode or other ? When I press on my remote's power button it asks me to press again on it to shut it down . and it comepletly turns off . Please do give me news on the subject as I am baffled on how I got almost if not double hours so far then most of you got O_o. Man...if only I had read these comments a few days sooner. My bulb died after about 500 hours and I was well past the 90 warranty on the blub so I just bought a new one. After I received it, I found this site while trying to find some information about optimal settings and whatnot, only to find that people were getting free bulbs even after the 90 days. Well, I just called and they wouldn't give me a refund for the bulb I just purchased. They are sending me an additional bulb for free, but that doesn't really help me, now does it? Anyway, just wanted to come here and rant and also to reinforce that you should definitely call if your bulb dies. I used the number and PIN in Tim Mahoney's post. When I called the regular customer support, the guy I was talking to tried to convince me you all were liars and that they weren't shipping bulbs out of warranty. So I called and sure enough, PIN no good. They immediately said they were overnighting a new one and I needed to send back old one in the box/container provided. I can't believe how good that sounded. Of course, I'm much closer to my 2 yr warranty going out (10 months left). Most on here are only 6month in. I suppose I could have told them I bough it 2 months ago and they wouldn't know, but I'm trying to be honest. BOTTOM LINE: CALL (562) 276-1305, have your serial # and purchase date. get a new bulb next day. I'll post back tomorrow and see if it came in. Follow up #1: I read back through comments - Chris F, can you give more insight on why you think the Power Switch on the back of the unit needs to be turned off? This is certainly the kill switch to the power supply, but it seems counter-intuitive since many projectors, like mine, are ceiling mounted. Do I need a ladder to prevent my bulb usage counter from ticking up? It would seem no different than turning off your pc via *start*/shutdown and then crawling under your desk to flip the power supply switch on the back of your PC (box). nominal residual power is used if the switch is left on, but from visual observation the bulb certainly is not in use! At least I see no way it could be in use. Perhaps its different than using the *black* button on the remote. otherwise are you confirming that the hour usage counter goes up even when you turn the whole unit off with the remote, and it cools down and the fan eventually stops, but then fail to flip the switch off as well? any other user confirmations? I noticed quite a few comments on the bulb life longevity or lack there of it. Here's my two cents.....and it's a little lengthy. I'm on my second bulb. The first showed the dimness symptoms, then failed completely at 1076h (No Explosions :-). As most of you have already figured out, Epson is extending the bulb warranty to that of the actually projector (2 years). My first call in to service, I also asked the tech if the projector should be switched off from the power supply or unplugged all together. I was told "That isn't necessary. Confirming the "Power off?" is sufficient". I believe this to be accurate. If the lamp itself is not on, it is not receiving power or generating heat, therefore the bulb should not accumulate hours. Epson stayed good on their consumer relations and overnighted me a replacement bulb. They also requested the failed bulb. I'm pretty technical and work on some pretty complicated equipment for a living. Here's my view, the high failure rate must be from the design of the unit or the lamp. Hopefully the later. If it is the bulb design and unless Epson re-evaluates the bulb itself, we all can probably expect to have continued early bulb failures. On the brightside of things, they are at least standing by the product for 2 years and overnighting bulbs to their consumers. We just need to figure out what to do with these units after the warranty expires. I, myself, do not like the idea of replacing the bulb every 1000h's on average. In my case, that could be 3, possibly 4 times a year ($900-$1200). That's the equivalent of buying a new unit every two years. Obviously this is not cost effective. I feel the cost involved in correcting an issue of this nature is not in the best interests of Epson's profits, especially consider how fast the technology changes these days. They are using the bulb warranty extension as a low cost compromise to their consumers, easy the pain if you will. So, unless Epson releases a viable correction to this issue, I will be replacing the bulb just prior to the warranty expiration and selling the unit. Thank for reading this far. I have an Epson 8500 which if great, but the bulb went out after 940 hours. I call Epson and their service was great. They apologized for the defect and are sending out a replacement bulb. Refreshing to have such a stand-up company.... I expected a "so sorry, but we can't help" response. On my 3rd lamp now after 12 months. Getting 1000 hours approx for each bulb. No issues so far getting Epson to replace the bulb but like everyone I'm a little worried about when the warranty runs out. Even selling the unit then is not something that rests easy on my conscience, lumbering someone else with a lamp bill every six months. Can't see that I'll buy another Epson, it's just not worth the risk. I joined the 1000H blown bulb club this morning. The previous posts about Epson handling this problem well is some mild relief. Wishing now that I had seen these comments before purchasing the 8100 in July of 2010. It's now Nov. 2011 and I just installed my second replacement bulb. I had purchased through Best Buy (with a protection plan), so their Geek Squad replaced the first, and this time around they overnighted one to me. Projector showed 2119 hours, but I don't know if the Geek Squad reset it after the first one blew. Judging from the comments below I'd bet not (e.g. around 1000 hours per bulb). Best Buy's service protection plan has a "no lemon" policy, which says that on the 4th repair you can return for a refund or credit. Two more bulbs to blow, and this sucker's going back. New bulb came in rush delivery as promised. It was a snap to install and made the picture like new again. Awesome. My question is this. Should I be running it in high altitude mode to keep it cooler? This mode seems to spin the fans a little faster but when you cut it off the fans only run for five seconds or so before it shuts down. Any thoughts? Follow up: 1/5/12 Epson sent a replacement bulb free of charge even though it had been almost two years since it was purchased.. Hopefully this one will last longer. I am on my 4th bulb (they have replaced 3 for me at no charge) ... Now there is a pink border and top and bottom of screen ... I have owned the product for less than 2 years ... The warranty service is great, but it feels kind of stupid to have to keep taking it down and sending bulbs back ... This time the entire unit has to go back ... There has to be a better way than this ??? Every projector I read about has some sort of bulb problem? I have had a Panny for almost 5 years that supposedly had a bulb issue! I only replaced the bulb last year because, the power supply went bad.Which I replaced myself after I found out it wasn't the bulb after all. It had well over 2k hours on it and was rated at 3k. What a bunch of whiners! These digital video systems were never meant to replace the on-off torture that Crttube/LCD/Plasma/LED video tv's face. They work best in little to no light and you have to allow time for the bulb to cool before cutting the power. Anyone having problems with the refurbished version of the Epson 8100? I just bought one from Visual Apex and I'm curious - thanks! It looks like Epson lamps are not lasting too long. I've a 6100 with the same problem At least their customer support is really good, so far. I had two lamps for 1200 hours, just started my third few days ago. All lamps were always provided at no cost by Epson . I have been told by an Epson nice guy that this lamp should last longer because they are aware of the problem and they have better lamps now.. I hope he 's right BTW I agree with Mark Thomason "when you cut it off the fans only run for five seconds or so before it shuts down" Should we open the lid near the lamp , after turning the projector off, so it cools better and faster? Has anyone had a bulb fail prematurely out of warranty? I've got an Epson 8500UB that just past the end of the two year warranty about 2 months ago. This is the third unit I've had through that period as I've been through two replacement units. This latest unit I've had since October of 2011 and it had just reached 400 hours on the bulb. Went to turn it on this evening, and the flashing red light of death. Needless to say, I am not impressed. I am going to call Epson on Monday and I really hope that they supply me with a new bulb or at least a discounted bulb. Can anyone offer any tips when I deal with Epson on this one? I have a refurbed 6100. No problems as of yet and great picture. Talked to Epson tech before purchase and they said all lamp issues have been corrected. New lamps installed before shipping the refurbed units. I purchased an Epson 8100 in November 2009. After less than a year the HDMI ports no longer worked. I received a replacement in October 2010 as the original was under warranty. Fast forward a year and a half, April 2012. I have now lost use of the HDMI port 1 in the replacement unit. Epson's position on the issue: it is no longer their problem because the 2 year warranty has lapsed, even though the replacement unit only worked for 1 1/2 years. I do not know the average life span of projectors but if you want one to operate at full capacity longer than 1 1/2 years, DON'T BUY AN EPSON 8100. I read all the comments and i realised every one here is making the same mistake resulting in the short life span of the bulb. Let me make this simple, you need to press on the power botton on the remote once, it will give you a prompt saying do you want to turn power off, you have to push on the power botton again if not so, you leave the projector in sleep mode with the bulb still on but but the fan off and not projecting nothing on the screen. After you push the botton twice, listen to the fan and make sure cooling off is over when the fan ceases. At this point,turn the power of from the plug. I have had mine for almost 3yrs and never changed a bulb. It doesnt matter what projector you buy, if you dont follow this procedure, as with TV'S also, your bulbs wont last.the warming up and cooling off is important and you need to calibrate the system to at least 6500k on living room and lower for the other settings. Leo, I had followed that advise from when I first got my projector 8700 UB . Bulb only lasted 1000hrs . So I would say it has nothing to do with how you look after your projector . Mine is in the open , not in direct heat, clean filter regularly and double press power button and wait for cooling to complete before switching off. Bulb still blown. Bulbs die like crazy. First one made it to 524 hours, second to 820, third to 1534hours (total on projector). I bought this projector based on the fact that the bulb was rated for 4000 hours. After only ~500 hours the bulb failed. I called Epson who assured me that the problem was fixed as they've switched manufacturers and they shipped me a replacement under warranty. After ~500 hours on the replacement bulb, it failed as well. I called Epson and even escalated the call to a supervisor and they offered me no solution but to purchase a replacement bulb for $300. I asked them why I would give them $300 for a replacement when two out of two bulbs that I had used thus far only lasted ~500 hours. Further, I asked how I could trust their word that the issue was fixed since this is what they told me the first time the bulb failed. Epson switching bulb manufacturers obviously did not fix the issue. Do not believe them when they tell you this. It appears that what happened here is they were sending me these defective bulbs and were stringing me along until my warranty was up. I told the supervisor that his unwillingness to do anything resulted in Epson losing a customer forever. I also assured him that I would review the product and share my unfortunate story. Lastly, I am pondering suing them in small claims court for false advertising just out of principle. If you want to buy new bulbs every 5oo hours at $300 a pop then this is the projector for you! Buyer Beware. I have the exact problem. I bought my projector in 2010 and a few months later I had to send it back to Epson which I am sure have replaced it with a refurbished unit. So far I used 4 lamps. Usually the picture looks sharp and great when I replace a lamp after approximately 1000-2000 hours of use. More recently I started seeing the pink borders at the top and bottom of the screen and they are getting bolder as time goes. I just replaced the lamp one more time but the pink borders are still there. They are covering approximately 1/8 of the screen. OK, we have had our Epson 8100 projector since late July of 2010. This projector in the beginning had a flawless picture, we were absolutely blown away, in fact we thought the picture to be as good or better than our 55" LED TV except we projected an image on to our stationary screen twice the size of our TV at 120", just an amazing picture. Fast forward to 2015...we have now gone through 3 bulbs. The first bulb lasted about 850 hours; it was replaced under warranty for free by Epson. The second bulb lasted about 1200 hours (not covered under warrant), we now had to purchase our 3rd bulb ($280 includes tax), but on our 3rd bulb replacement I noticed we have pink/purplish border at the bottom of our screen. On a white image you can see it very clearly and distinctly, I have to zoon out a bit on to our velvet screen border to keep it from showing clearly...this border also projects a pinkish hue up the screen that you can see very clearly on a white image background. This is very disappointing to me as the projector was not cheap to begin with and bulb replacements are VERY expensive when you take in the fact that you are only getting an average of around 1,000 or fewer hours out of them and not the 4,000 hours stated by the manufacturer. To me this is a completed and utter rip-off by Epson; these bulbs should be less than $100 each IMO. I went on the other blogs and forums and it has been stated that the pink/purple borders could be caused by one of the lenses inside the projector has come unseated from its original position by a shear millimeter or less from the constant heating and cooling of the unit. Because my projector is out of warrant I will have to open it up myself to see if I can repair. Epson said they will not help me and that I would have to send it to one of their authorized repair shops. I contacted one of the repair shops closest to me which happens to be 250miles from my home and they said that I would have to pay to ship it to them and that the repairs could cost more than the unit is worth. This makes me want to rethink purchasing another product from Epson. By the way, my projector is ceiling mounted, plenty of air-flow around it, and I have cleaned my filter and turned off the unit correctly the entire time I have owned it and we have logged less than 3,000 hours of use time on it. That is NOT GOOD to have a projector fail this quickly. Epson needs to admit they have a problem with this units bulb life and build quality and give people at least a large credit towards buying a new one from them so we can rebuild trust in their product, but it will never happen. I will probably look to see what other brands like Panasonic and Optima have to offer in my next projector purchase. Very disappointed in Epson right now.